Open every Saturday from 1-4 pm. Closed on holiday weekends. New Exhibit - Stop in and see the Society's art collection featuring work by famed La Mesa artist Mary Garfield. Today's downtown Village is the historic core of long-standing businesses. Re-discover our commercial heritage. 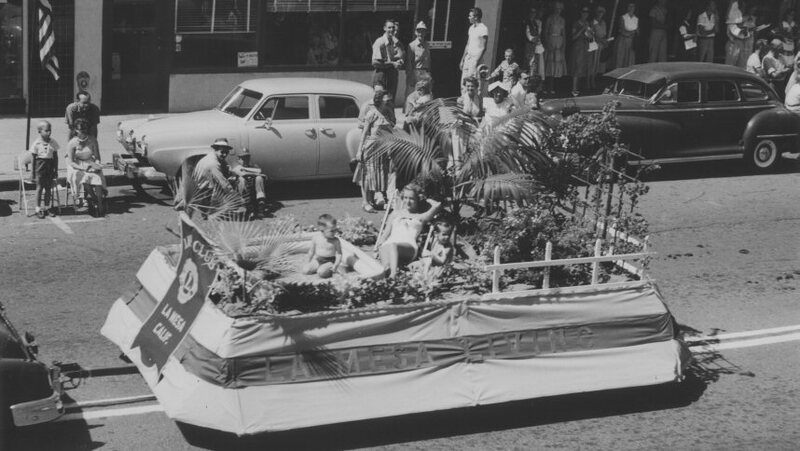 From parades to Easter Sunrise services, La Mesa has a great tradition of community-wide events and celebrations. Re-live the memories. 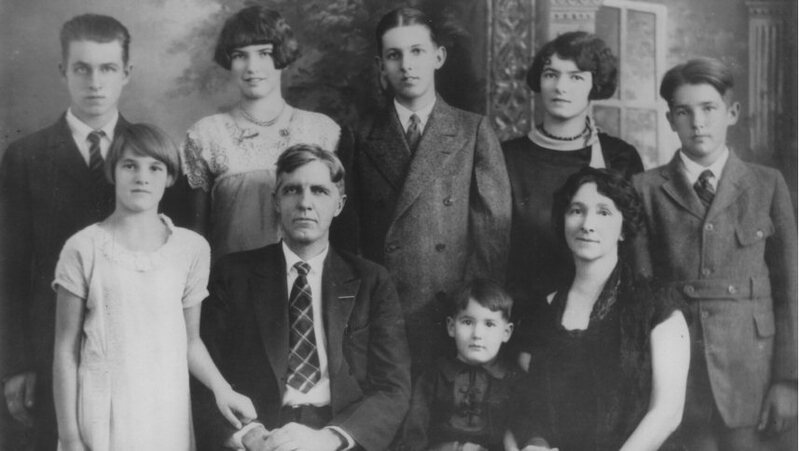 Artist poet Mary Garfield, with family c. 1925, penned city's motto "Jewel of the Hills. 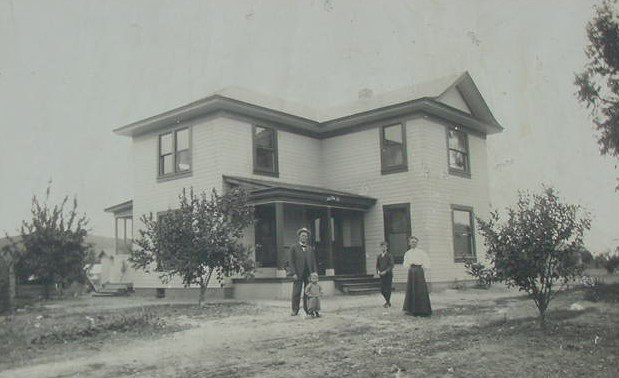 Learn more about noted La Mesa families and residents. 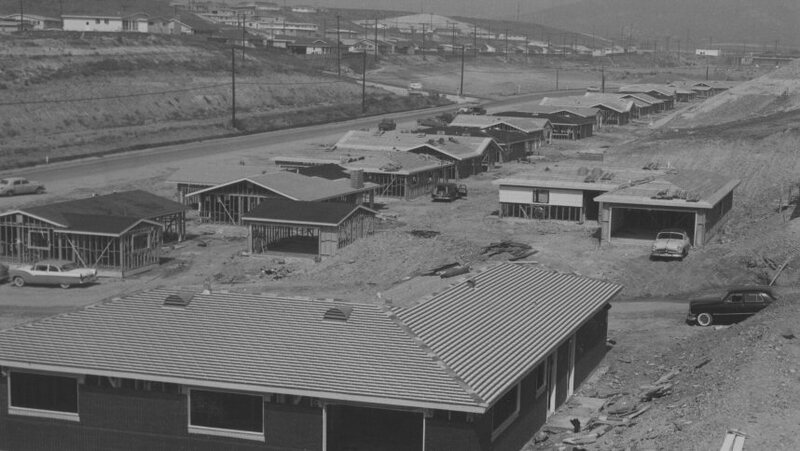 La Mesa's neighborhoods and surrounding communities, from century-old tracts to Post-War suburbs, has a story to tell. Come learn about them. 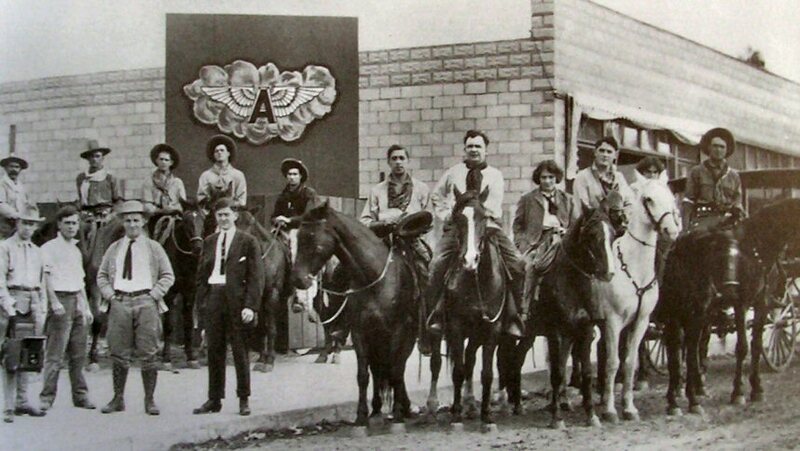 Ground-breaking Flying A motion picture company made La Mesa its home from August 1911 to June 1912. Find out about other "surprising" La Mesa stories. Welcome to the La Mesa Historical Society! From its agricultural origins in the late 1800s, its community beginnings and short period as a silent-movie mecca in the early 1900s, La Mesa has a rich and colorful past. 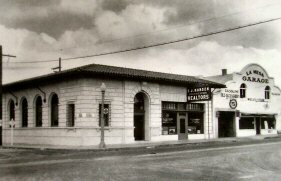 The La Mesa Historical Society is dedicated to preserving the community's heritage for future generations. Working out of the Rev. Henry A. McKinney House Museum and Society Archives, a 1908-built historical landmark, the La Mesa Historical Society is reaching out to the community through a number of avenues - educational historical roundtables led by notable historians, walking tours to hosting and participating in special events including our Annual Home Tour. 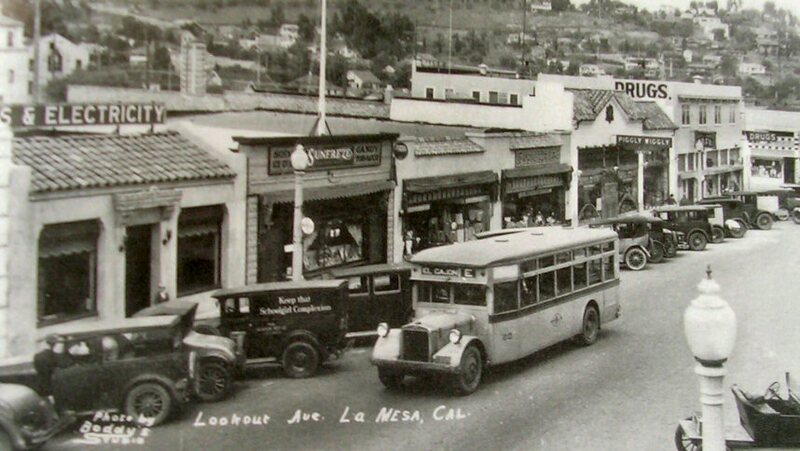 Come investigate La Mesa’s history with us - we look forward to seeing you soon. Please visit the Memberships page to for details about LMHS memberships and included perks. Additional donations are welcomed and very appreciated. Donations help fund our events and La Mesa history preservation efforts. We thank you for your support! 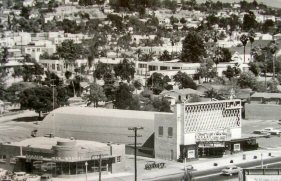 Rediscover lost, but not forgotten, places and stories from La Mesa’s past such as this warmly remembered movie-theater–opened in 1948 near the corner of La Mesa Blvd and University Avenue. 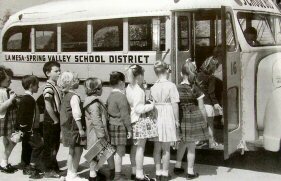 From one-room Allison School (opened in 1895) to Grossmont (1920) and Helix (1951) High Schools, churches and other government agencies and civic organizations, La Mesa boasts a proud tradition. Re-live these shared institutions.